There is, even now, a note of disbelief in Davide Soliani’s voice. As he talks about the game that has consumed the last four years of his life, he can’t stop referring to it as “a dream”. 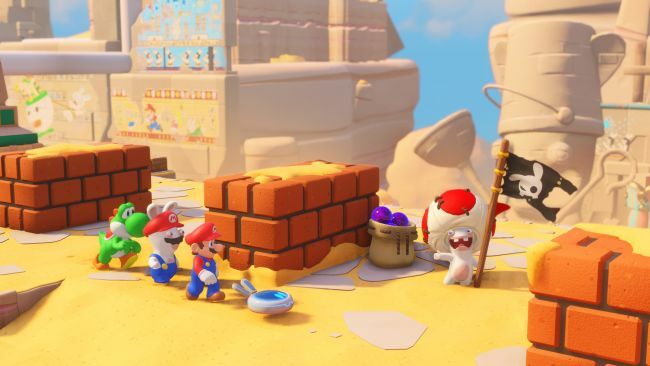 Indeed, you sense the creative director of Mario + Rabbids: Kingdom Battle is still pinching himself, having spent so much quality time lately with a bona fide video game icon, a character who had been part of his life “even before he had a name”. At the end of the year, he decided it was time to propose something new and different: a reboot of sorts for the Rabbids series. “We wanted to take a risk and make something that no one expected. So I contacted three creative directors working within Ubisoft at that time.” Soliani, of course, was one of the three. 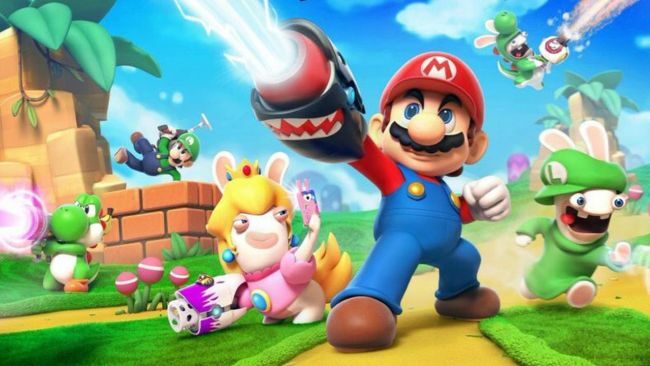 Manzanares’s outline was fairly loose: it had to be a game that combined the Rabbids and Mario in some way, but beyond that, there were no rules. It was now February 2014, and Soliani and four colleagues cloistered themselves in a small room at Ubisoft’s Milan studio, brainstorming ideas across a range of genres. WANT THE BEST INDUSTRY INSIGHT EVERY MONTH? Subscribe to Edge Magazine in print or digital for more in-depth features, reviews and interviews about the future of interactive entertainment. If the idea of combining these two brands seemed unlikely, the notion that they’d join forces in a turn-based strategy game was even more fanciful. 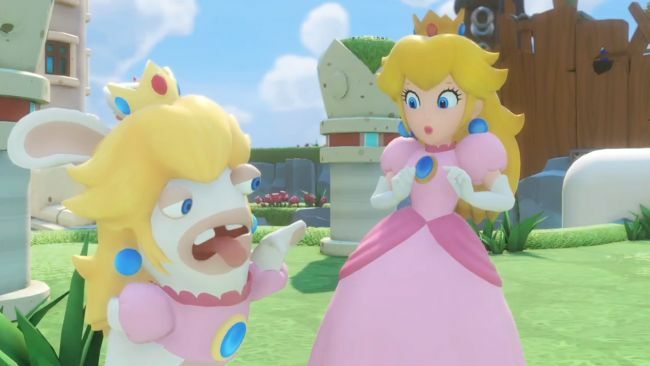 “OK, Rabbids and Mario might seem very far from each other,” Soliani adds. “Well, for us it was the key. To use those differences to propose something completely new.” But why a strategy game? “Because we wanted to propose something new in a genre, and do complex stuff in a very simple way,” Soliani says. “Most tactical games are fun to play, but they look very sad in terms of their colour palette, and their complexity scares away players really easily.” Soliani and his team spent a lot of time discussing ways to make something that was deep yet accessible for all types of player. The defining moment came when the game’s movement abilities – the dash move that lets players slide-tackle enemy units, and the team- jump that lets friendly units use one another as springboards to bounce over gaps and cover greater distances – were conceived. “Straight away, players could do complex stuff with a single click,” Soliani says. In fact, when the time came to present the first prototype to Nintendo, it didn’t look like a tactical game at all: the pitch showed the various techniques the player characters could perform, but with no HUD present, it wasn’t immediately clear how the game would play. “They saw it almost as a sequential action game,” Manzanares says. Back then, Kingdom Battle was very different. The initial prototype was a real-time PvP-focused strategy game: the three-character setup was already established, but the player had a budget of time to move them all around the battlefield, controlling them directly rather than guiding them with a reticle as in the finished game. And each arena featured towers, which could be activated to expand the player’s radius of vision.Soliani and his team had taken great pains to prepare for that presentation. Keen to show they were taking their responsibilities seriously, they spent a lot of time carefully modelling, rigging and animating the Nintendo characters.